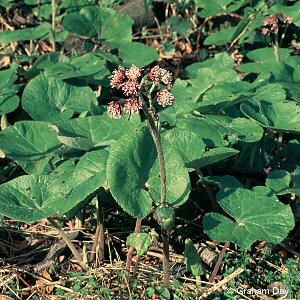 This is a southern European species which has now spread over large areas of suitable ground. It is most often seen on dry roadside hedge banks where it can obliterate all other vegetation. It flowers from about Christmas to early February and the flowers are very fragrant. 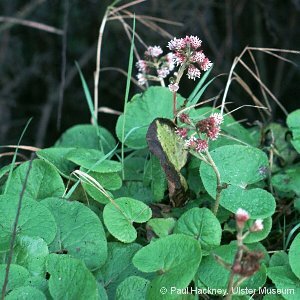 All names: Petasites fragrans (Villars) C.Presl; Petasites pyrenaicus (L.) G.Lopez; Tussilago fragrans Vill.